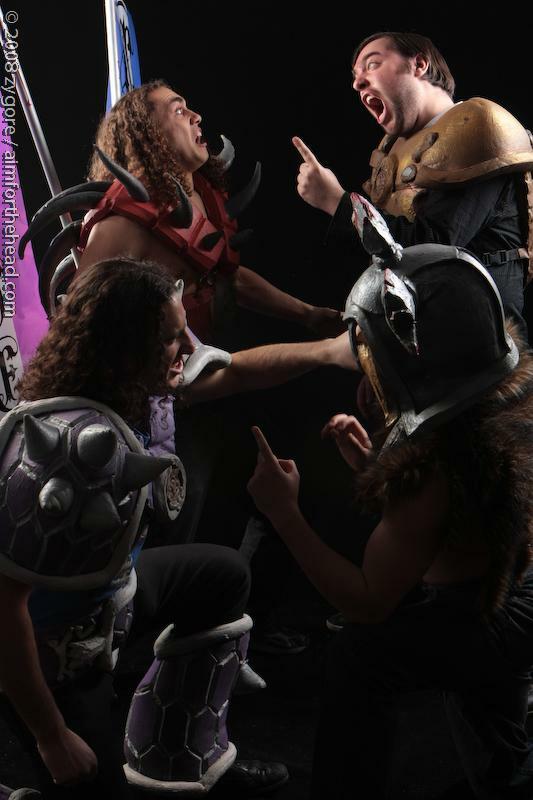 Games Meet Metal: Blast Beats and Boss Battles w/ Powerglove's Bassil Silver-Hajo!!! 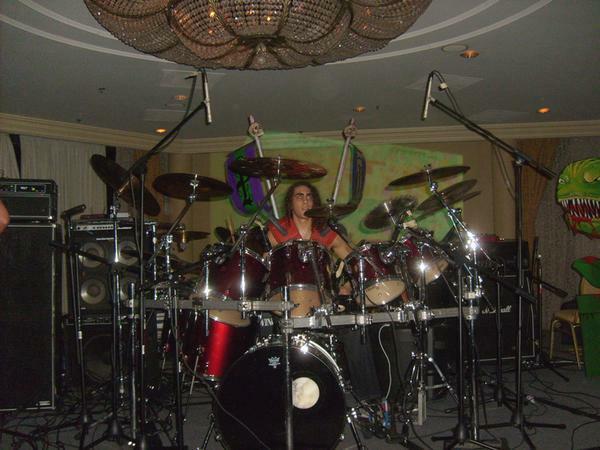 Blast Beats and Boss Battles w/ Powerglove's Bassil Silver-Hajo!!! 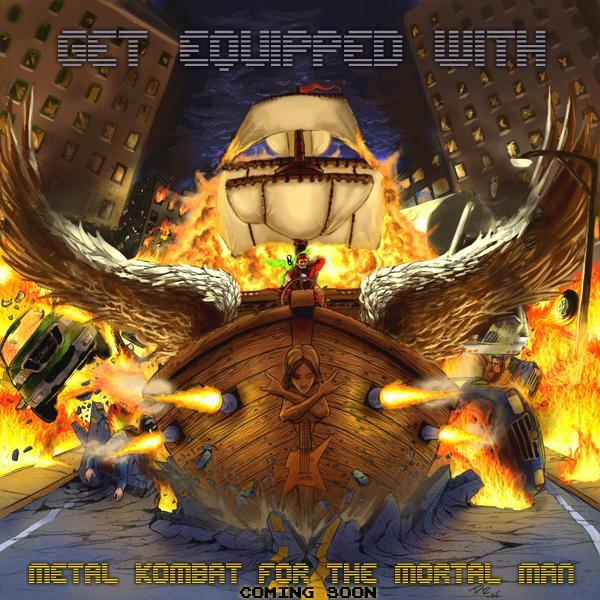 Blast Beats and Boss Battles returns to probe various metal musicians for tidbits of band news as well as nerdy gamer talk. 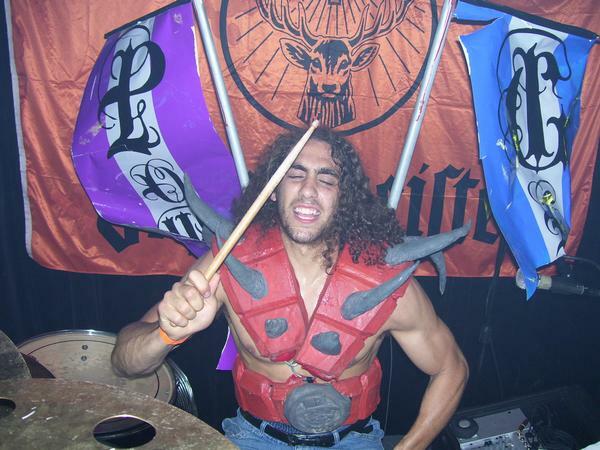 Today's edition is a humdinger, as we got a few words out of Powerglove drummer Bassil Silver-Hajo! Read on about being signed to E1, his thoughts on E3, and the final answer to a scary incident when he last came through the Detroit area. 1. Why "Powerglove?" Why not "U-Force?" Or "Sega Activator?" "Super Scope 6" perhaps? An old friend of ours, Ben Durgin who we used to play in a couple bands with, came up with the name Powerglove after the Nintendo controller that came out in '89. We all liked the name because it had an epic metal ring to it, but also pays homage to Nintendo. Did you know anyone who owned a Sega Activator? 2. Powerglove just signed it's first big record deal with E1 Entertainment. Honest question: did you think someone was yanking your chain when you heard a record label wanted you on their roster? Hahaha! Yeah it's still a bit of a surprise to us that things have come this far. But as tongue-in-cheek as we are with our stage show and image, we've always put our hearts into the music. This actually wasn't the first label we've spoken to. We've talked and negotiated with many different labels up to this point, and E1 definitely felt like the right home. 3. Since Powerglove is sans vocalist, all the weight of the music falls on the instruments, and you guys are a pretty talented bunch. Is anybody formally trained, or are you guys mostly self taught? Thank you! We have all had formal training for years, and three of us attend/attended Berklee College of Music. It's interesting being an instrumental band because it vastly affects the way we write. A lot of the themes we play are comprised of only a few different lines, so when we flesh them out into full metal songs, we write in a lot of original material as well as melodic/feel changes in order to keep the songs interesting. We have a bit of a "no direct repeats" rule. If we ever repeat a line, something will almost always be substantially different about it. 4. Powerglove just finished recording their first record for E1. You guys previously stated that you were going to relese two records pretty quick: one giving tribute to the movies and cartoons you love called Saturday Morning Apocalypse first in 2010, and a another video game themed album second in 2011. Is this plan still a go? If so, can you spill any details? Release dates perhaps? Yeah, we just finished the album, and we're really excited for it's release. We haven't made the official release announcement yet, but it should be relatively soon, so keep your eyes out! It's definitely in our plan to do another video-game themed album after this, but nothing is set in stone. We've been toying with the idea of recording some entirely original material as well. It's hard to say exactly how soon we'll move on to the next record, but I guess we'll see how things go with the new record, and how much we end up being on the road. 5.When Powerglove last came through Detroit, you had to be rushed to the hospital. Exactly what happened? Dehydration? Exhaustion? Tiny Metroid attached to your pinky finger? And how are you feeling today? Yeah we had to cancel the show due to medical emergency, but somehow it got out that I was rushed to the hospital, which actually isn't true. I guess I should have posted something to clarify. I have asthma, which generally isn't much of a problem, but it leaves me really sensitive to cigarette smoke. I couldn't smoke a cigarette if I tried. We were playing at Blondie's in Detroit, which allows smoking in the venue, and by the time the show started it was so smokey we wouldn't have even needed to run a fog machine. I had a severe asthma attack, lost the ability to breathe and began to pass out, and Alex had to carry me out of the venue. Honestly, the worst part about it for me was having to cancel the show! Although our fans (as well as the venue and the whole tour crew) were extremely supportive. No one was pissed off and I got a lot of messages showing support and concern, which was really cool. And all the Metroids know that I have morph ball and bombs, so they don't even try. 6. Okay, let's do some gaming talk! How about a quick rundown of your own gaming history? First console, fave game of all time, what you're playing right now, ect. My first console ever was a Sega Genesis. I was never allowed to have a console of my own when I was young, until my grandmother bought me a Genesis. My parents were pissed! haha My favorite game of all time is definitely Final Fantasy VII. At the time, the graphics were incredible, and I got more immersed in the story than in any other game I've played. Nowadays I've been playing a bunch of Starcraft 2 with the other guys. It's a game we've been awaiting for a long time, and it's been a lot of fun. Chris actually brought a laptop on the road during our last tour to play it at wifi hotspots, so you can tell how excited we got when the beta came out. 7. E3 is just about to wrap up, and the nostalgia button got pressed pretty hard. 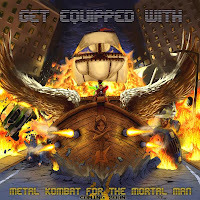 Kid Icarus and Donkey Kong back from Nintendo, Twisted Metal back on Playstation, more Castlevania goodness from Konami. As an obvious old school gamer fan, are you excited or do you think it's all just a cheap nostalgia cash grab? I think it depends greatly from game to game. For example Mega Man's switch back to the old Nintendo 8-bit style was a very good move. Some remakes are great, and others are terrible. I personally haven't liked any Metroid games since Super Metroid, which happens to be on my all-time favorites list. I couldn't make it out to E3, so I haven't tried out any of the new titles, but it's definitely cool to see old franchises coming back. Hopefully they'll be awesome. Nice to see that Donkey Kong is still side-scrolling. And Twisted Metal was awesome back in the day so I personally have high hopes, but we'll see! 8. Any other thoughts about E3 this year? Maybe some scorn for the Microsoft Kinect or Playstation Move? Admittedly, my initial reaction to all the Wiimote ripoffs was to make fun of them. But honestly it all depends on how they integrate them into the games. While the Wiimote is totally awesome, and I was addicted to Wiisports and Warioware when they first came out, there haven't really been a lot of games to take full advantage of it and really use it in an innovative way (definitely a few great ones though, like Super Mario Galaxy!) And take the original Guitar Hero Controller for example.. by itself, its terrible! 5 frets, no strings... almost a mockery of a guitar. But it still is the center of one of the best party games released in recent years. I guess in the same way that the Wiimote is essentially a new Powerglove, the Kinect is basically a new Activator, so we'll see if it suffers the same fate. On a different note, I'm a big Gears of War fan, so I'm excited to pick myself up a copy of the GoW3! 9. Gaming is pretty integral to the band's existence and current popularity. However, we all know that gaming can be pretty addictive. Has gaming ever interfered in band business? Maybe missed a band rehearsal because that guy playing E. Honda keeps getting through your combos and you have to beat him just once? Hahaha, it hasn't really been an issue. We always keep the band as a higher priority than playing video games. In fact it sometimes has the opposite effect and I end up getting temporarily out of touch with the VG world while we're recording or getting ready for a tour. 10. A lot of the bad press surrounding gamers in general looks to be dying down, save for the occasional article of some idiot doing something horrible because he didn't get a turn on a Wii game. But for the most part, a lot of the scorn has gone away, as well as some of the biggest critics. Jack Thompson can't practice law anymore in Florida, and South Australian Attorney General Michael Atkinson is stepping down. Do you feel this reversal of fortune is a result of these critics being, well, dead wrong in their prejudices? I think the cause has been helped by a few different things. Videogames are vastly more commonplace than they used to be. Even just 10 years ago, videogames were played almost entirely by "gamers". It was almost a niche, albeit a huge one. But now they're universal. Everyone plays videogames. Also, lots of studies showing the benefits that Videogames have on people definitely helped their acceptance among skeptics. Other than some old women throwing Wiimotes through their TV sets or people losing their lives to Second Life, the positive effects of videogames (Logical/Critical thinking skills, hand/eye coordination etc..) are becoming more apparent. Although, I still think WiiFit isn't quite a replacement for a gym membership haha. 11. Quickie question: PC gaming or console gaming? Choose!! Nowadays, definitely PC gaming. Especially for shooters (And Starcraft 2!). As a kid, console gaming. So basically, I didn't answer your question at all! 12. 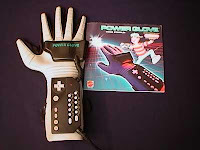 Powerglove pretty much epitomizes the combination of both games and metal. Admittedly, the combination doesn't exactly spell success, but Powerglove are achieving some pretty lofty heights. Did you ever imagine most of these things happening to you ever in your music career? When we started playing together as Powerglove, we didn't really have any idea how far we could go with it. 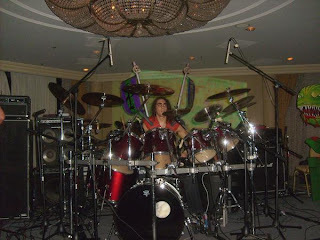 But as long-time videogamers and huge metalheads, playing metal renditions of videogame songs is definitely in our blood. The first real sparkle of hope that we saw in our early days as a band is the inherent nerdiness that many metalheads posses. And of course that is by no means an insult to anyone, we are definitely included! One thing that I personally look for in a band is originality, especially these days when so many bands sound exactly the same as each other. I love seeing a band entering into new, uncharted territory. In my mind, being the strange, nerdo-metal creation that we are is cool because we have no idea how far it can go. So it makes it more of a challenge to see how far it can go! 13. In closing, what does the band have planned for the future besides the new record? A new tour perhaps? We're definitely planning to hit the road again as hard as we can. We'd like to tour around a lot, especially in territories in which we haven't played yet... like Japan!! Thanks again to Bassil for taking the time out of his busy schedule of Starcraft 2 campaigning to answer our geeky questions. Powerglove is still working on their new album, and no tour is planned at the moment, but they do have a few spot shows on the east coast this summer. Check their Myspace for the dates.